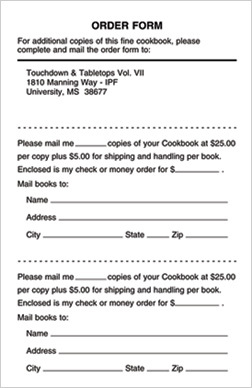 Fundcraft offers a mail order form for others purchasing your cookbooks. Include the following on your order form. NOTE: Include this information in the [ Mail Order Page Section ] on the Order Form.